Do your middle schoolers love Friends for Life as much as mine do? Last Friday, I ran a report of my top 25 most circulated titles this year. 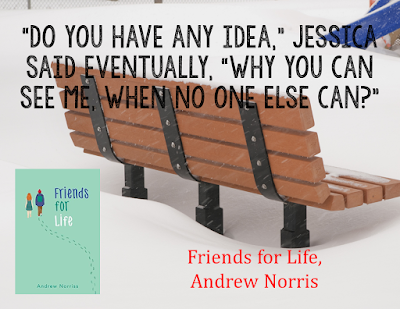 As of right now, Friends for Life is currently in the #3 spot. Only graphic novels Awkward and Roller Girl have beaten it so far. Pretty phenomenal! 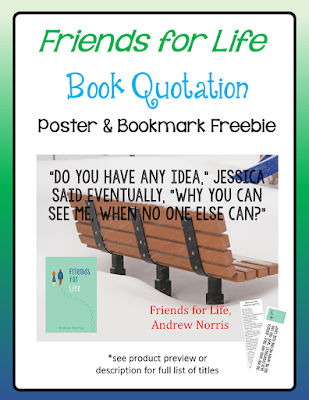 To celebrate the success of Friends for Life this school year, I'm making my Friends for Life poster and bookmark set available for FREE on my TPT site. The poster images are hi-res and will print nicely on a poster printer. The bookmarks are 100% editable. Glad you like them! I created the bookmarks in PPT because I figured most people would have access to PPT in both Mac and PC. Macs don't have Publisher, and PCs don't have Pages. Can you open them in PPT and copy them to Publisher? I love love love this!!! Thanks for sharing with us. You are so welcome! They were pretty fun to put together, and I will probably make some more, maybe using themes or award winners? Not sure, but I'm glad you love them!